How Far is Adinath Riddhi Siddhi Samruddhi? 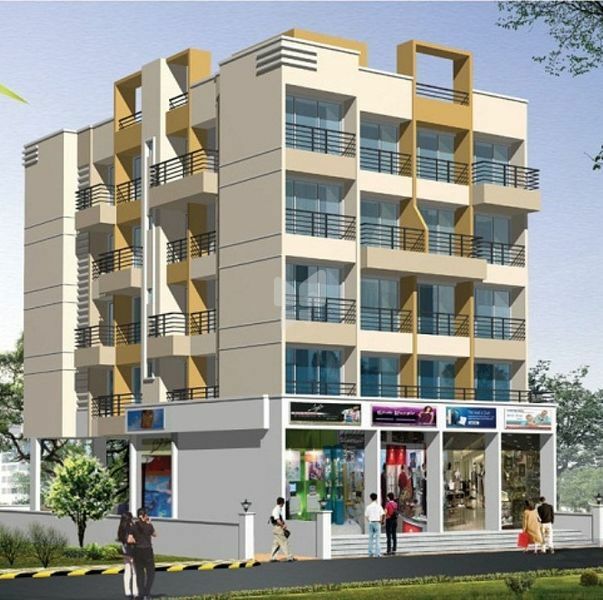 Adinath Riddhi Siddhi Samruddhi is one of the popular residential developments in Navade, neighborhood of Navi Mumbai. It is among the completed projects of its Builder. It has lavish yet thoughtfully designed residences in 1 Blocks. 2'x2' Joint free tiles in all rooms. Granite Platform with S.S. Sink and Glazed tiles in Kitchen. Loft above Kitchen and Bathrooms. Refrigerator, Exhaust Fan, Water Filter, Washing Machine point provided. Concealed plumbing with fancy C.P. Fitting, Laminated baklite door in Bath & WC, Green Marble Frame, Flush Tank, Anti-Skid flooring Shower, hot & cold mixer. Cable & Telephone Points in Living Room. Powder Coated Windows with Tinted Glass & Green marble sill. All Walls distemper Paint Finish. P.O.P. Moulding in Living Room. Concealed (ISI MARK) Wiring with Ample Electrical Points and Modular Switches. Main Door Flush type with decorative skin on outer side. All Internal Doors dully oil painted on both side. External Paint with Pure Acrylic Paint. Attractive compound wall with decorative M.S. Entrance Gate.